After several advancements in battery technology, most phones come with some flavor of quick-charging technology that promises to prime up out smartphones for the day, in a relatively small period. Google’s latest Pixel 2 is no exception, and if the stock charger is used, the device displays an indicator that says “Charging Rapidly,” which means that the fast charging mechanism is active. However, in a low-temperature environment the Pixel 2 will claim to be charging quickly (10W+) when, in fact, it’s charging at less than 4W. 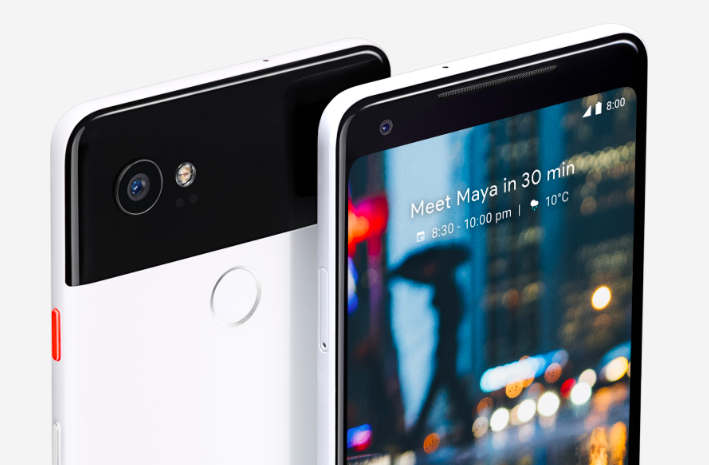 The issue first came to light in Google’s product forums, and both the Pixel 2 and Pixel 2 XL were found to be affected. Turns out, if the Pixel 2 XL’s battery temp is below about 20°C (68°F), instead of pulling the maximum charging speed (18W then falling to 10.5W), it will only pull 3-4W. Even though it’s charging at a much slower speed, the phone will claim to be “Charging rapidly,” which is a tad misleading. Normally, when the wattage is lower than 10W, the indicator on the lock screen says “Charging,” which indicates that the device will take a bit longer to charge. It can be observed while using non-stock chargers, or low-wattage power banks. On an average, my Pixel 2 XL took around an hour and a half to charge to 100 percent with the stock charger. Without Quick Charge enabled, the time nearly doubled, and I had to wait an agonizing three hours for the phone to hit a hundred percent. However, some users on the same thread figured out a way around it. All you need to do is to heat the battery up (not in a microwave, obviously), by subjecting it to heavy-duty games or applications. Playing a high-definition video or messing around with the AR stickers works just as fine. We also recommend downloading an app that monitors the battery’s temperature real-time, so that you can plug it in to charge the moment it goes above 20° C(68°F). The bug joins the long list of things that are wrong with the Pixel 2 series’ of phones. It can be especially frustrating for people who live in cold regions, as they’ll not be able to take advantage of the Quick Charge facility of the device and wait for hours to charge their phones. The issue needs to be investigated in-depth by other OEMs as well. It may not be a problem with just the Pixel 2, but all devices that employ a form of Quick Charge.